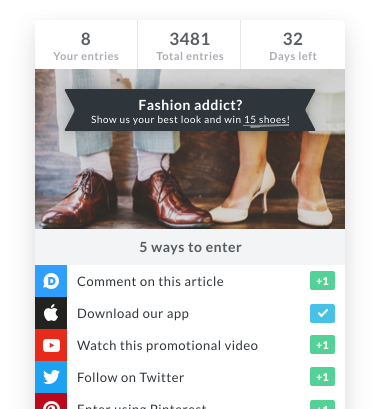 We can easily setup and run giveaways, contests and sweepstakes that drive real user engagement. We are here to help process and obtain your Trade Promotion Lottery Permit number from each State or Territory. We invite you to fill out the form opposite with your competition requirements; including your name, the best way to contact you, your total prize pool amount and if your competition is state-based or national. Once we receive this contact, we will respond and organise all the necessary permits for you to run your competition.